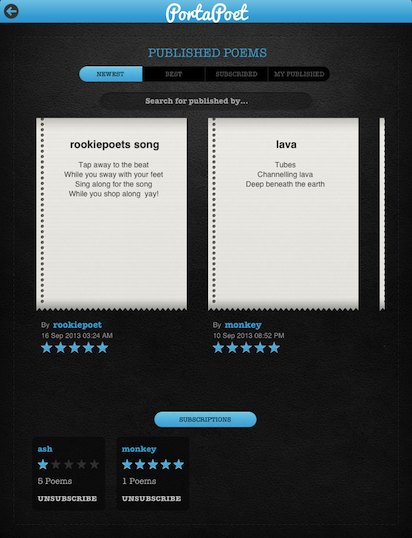 Creating your own poems, wedding speeches or songs on the go has never been easier, with quick rhymes search & easy editing at your disposal. Proud of your masterpiece? 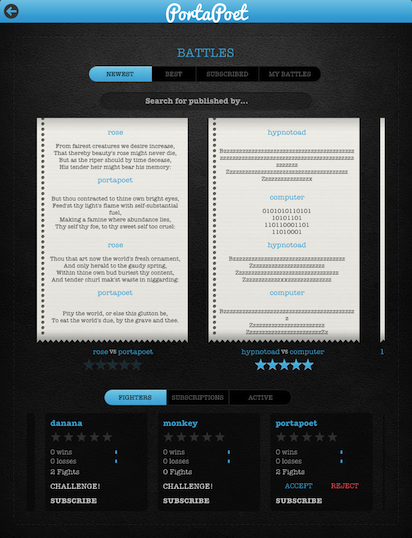 Save it & share it with your friends and with the PortaPoet community. 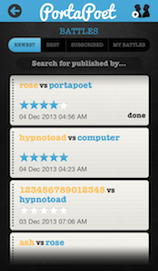 Collaborate with other users of PortaPoet to write poems. 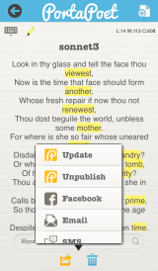 Take turns editing your shared creative work. Both collaborators are credited as the authors. 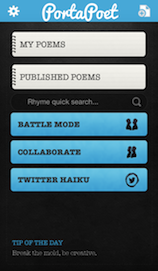 Engage other PortaPoets in battles! You each get two turns (most likely, to insult each other) to bust rhymes. You pick who won a battle! Winner gets bragging rights (and nothing else). 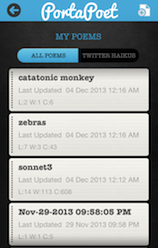 Not sure if your haikus are really haikus? 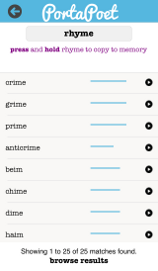 Don't know how many syllables that word really has? 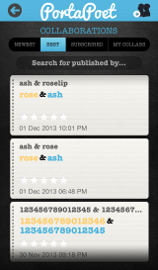 The Haiku feature does the syllable count and line count validation for you! 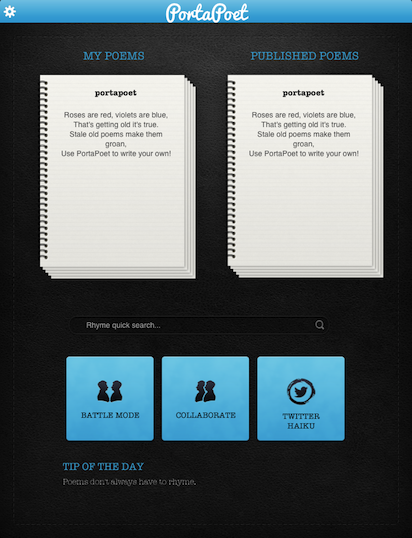 Do you have a question or are you having trouble with PortaPoet? Email us and we'll get back with an answer as soon as possible. © 2013 Artisan Engineering LLC All rights reserved.